Though I don’t generally watch a lot of melodrama, I was very intrigued by Mask after checking out the first few episodes. It had an interesting plot set up that made me want to watch on to find out more about the mysteries that had been sprinkled throughout the early episodes. But as I get into the drama, what impressed me even more are the well-rounded, unique characters that Mask portrays, albeit not all morally feel-good characters. I witnessed the dark sides of human nature, but took comfort in knowing that justice would prevail. Mask did have some stagnant parts in the latter half that felt unnecessarily long, but the overall story was a great watch with a fully satisfying ending. What impressed me are the well-rounded, unique characters that Mask portrays. The first couple episodes of Mask jump right into the overall premise of the drama and introduce us to the main characters without wasting time. It builds a solid story with enough mysteries to entice the viewers, but withholds some key information for us to uncover on our own. We quickly meet our lead cast, Byun Ji Sook (Soo Ae) and Choi Min Woo (Ju Ji Hoon). Despite being constantly yelled at, Ji Sook works hard at the department store to provide for her family and pay off her dad’s loan sharks. In contrast, Min Woo is a hypochondriacal chaebol who’s in the middle of a political marriage for business reasons. 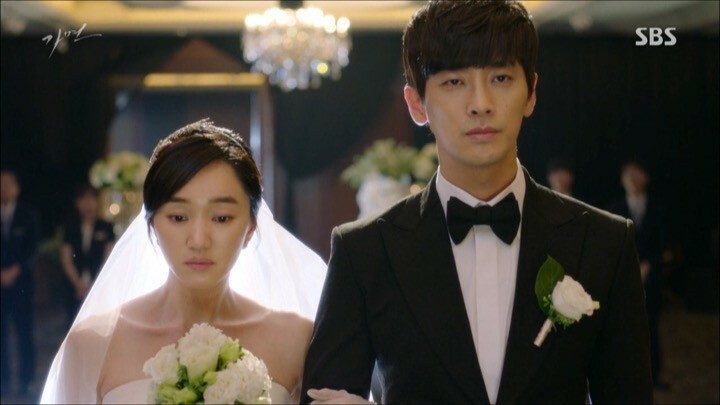 His bride-to-be, Seo Eun Ha (Soo Ae), happens to look exactly like Ji Sook. Then, the unexpected happens. During their lunch together, Min Woo passes out from ingesting drugged wine while Eun Ha drowns. This scene leaves me flabbergasted and unsure of what just happened. Mask immediately captures my interest with this surprise death while the drastic difference in Ji Sook and Min Woo’s lives has me wanting to watch on to get to know them better. Later, Min Woo’s ambitious brother-in-law, Min Seok Hoon (Yeon Jung Hoon) inadvertently discovers Ji Sook’s existence. Seok Hoon is manipulative and aggressive right from the beginning which leaves a strong first impression on me. He blackmails Ji Sook into taking Eun Ha’s place so that she could be his puppet and spy on Min Woo. With the key premise and main characters established, Mask begins its main arc. The next few episodes of Mask continue to delve deeper into its characters’ motives and relations. Ji Sook begins to work for Seok Hoon under false pretenses of her family’s safety and gets married to Min Woo. Ji Sook and the viewers soon get a taste of Seok Hoon’s true character. His ultimate goal is to take over Min Woo’s position at the company — by any means necessary. However, I’m starting to get interested in why exactly Seok Hoon wants to take down his brother-in-law so badly, and the real reasons behind his anger. In fact, the angrier Seok Hoon gets when things don’t go according to his plan, the more intrigued I became. The angrier Seok Hoon gets when things don’t go his way, the more intrigued I became. I also took a liking of Ji Sook because she doesn’t let her perilous situation deter her from saving herself and her family. Instead, she tries her best to fit in with Min Woo’s family, despite not knowing them at all. She’s comfortable with their maids, much to the annoyance of the family, but it really shows how hard she is working to preserve her old identity. Min Woo and Ji Sook’s relationship is making steady progress as well. Min Woo initially puts up some clear boundaries, even forcing Ji Sook to take the couch because he’s not sharing his bed. But just like every Korean drama with a jerky male lead, Min Woo eventually starts to soften and warm up to Ji Sook. They’re still awkward around each other and argue at times, but you can tell that Min Woo is not totally antagonistic towards her. The drama hints that though our divergent leads have quite different goals, they’ll eventually find themselves working together. Ji Sook and Min Woo’s relationship advancement does seem a bit rushed, but I can’t wait to see how their feelings toward each other will develop from this point on. On the other hand, the mysteries surrounding what happened to Eun Ha still looms over us. Even if our characters got a half-baked explanation in the drama, we know that’s not the truth and anxiously wait to find the real culprit. What I like about these episodes of Mask is that they clearly demonstrate how important yet fragile relationships can be, especially those hidden behind masks. 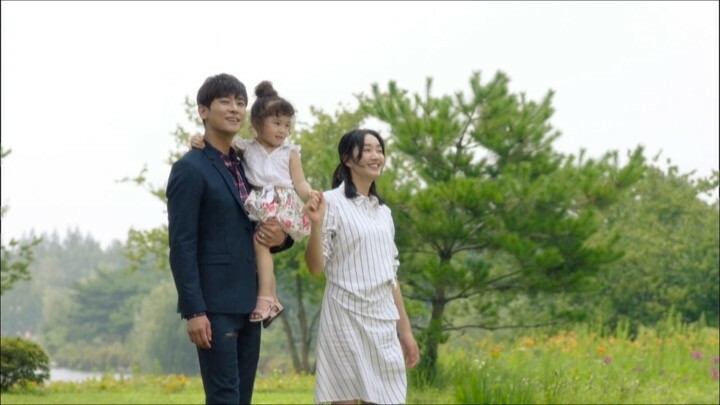 The drama brings to light a fragmented family through Min Woo and Ji Sook’s union as well as Seok Hoon and his wife Choi Mi Yeon’s (Yoo In Young) fall out. Mi Yeon strives for affection from her husband but doesn’t receive it. Yet she still relies on Seok Hoon for everything, which irks me because I want her to do something for herself. Thankfully, she eventually does and her actions serve a crucial role in advancing the plot during these episodes. Seok Hoon continues to threaten Ji Sook and manipulates her into doing what he needs her to do — keeping an eye on Min Woo and even planting drugs on him. At this point, I can safely say that Seok Hoon is probably my favorite character of Mask. He’s ruthless and does whatever he can to get what he wants, with zero remorse or guilt. He’s not above murder either, as we soon find out. But what makes Seok Hoon even more dangerous for those around him is that he’s good at concealing his cruel nature, which makes it hard to figure out his real intentions. 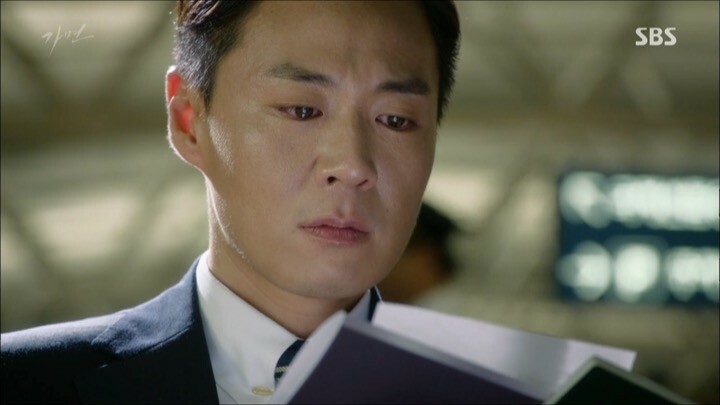 Yeon Jung Hoon completely immersed himself in the role of Seok Hoon and delivered a truly convincing performance. Meanwhile, Min Woo and Ji Sook’s relationship take one step forward, but two steps backwards. It’s great to see Min Woo slowly being able to physically get closer to Ji Sook, working through his hypochondria. But the lies are still standing in the way of them embracing their feelings for each other. It’s frustrating to watch our leading couple being hesitant around each other and putting up unnecessary distance to protect their own emotions. Shifts in character dynamics and disclosure of secrets are the crux of these next few episodes. Seok Hoo’s oppressive contractual relationship with Ji Sook takes an unexpected turn as he slowly loses control of her. Ji Sook feels torn between following her heart to do the right thing and obeying Seok Hoon, who made it clear that if he goes down, he’ll drag her down with him. To my relief and Seok Hoon’s dissapointment, Ji Sook’s conscience prevails. At the same time, Ji Sook’s relationship with Min Woo advances nicely. There are plenty of cute moments between the two that put a smile on my face. It’s great to see the once serious Min Woo come out of his shell and express how goofy and carefree he can be. They’ve finally decided to embrace their relationship and start dating — the ultimate development that I had been waiting for! Another critical component of these episodes is the secrets that are revealed — some new, some old. Most importantly, we finally witness what happened to Eun Ha. It was expected, but still shocking to see how it all went down. Most of the twists in Mask are tastefully done and stay within the realms of possibility. However being a melodrama, Mask could not fully escape the cliche of over dramatizing some things. Thankfully, the more dramatic twists add to my experience because the drama does a good job of explaining them through character motivations. Otherwise, they could be deemed as unrealistic. Mask could not fully escape the cliche of over dramatizing some plot twists. Mask unfortunately starts to drag here as the drama throws in random scenes to unnecessarily elongate the episodes. For example, our main cast goes hunting in the woods, where Seok Hoon “accidentally” shoots at Min Woo. The scene ended just as quickly as it began and could have totally been done without. Another time, the main cast all go on a vacation that was planned for the press. It goes as horribly as you can imagine followed by a murder attempt. The vacation comes out of the left field and seems like a complete plot device to get all four characters together for the convenience of the murderer. Not much progress has been made in terms of the main storyline during these episodes and I just hope that the drama can tie up all loose ends in the remaining two hours. Thankfully, Mask does wrap everything up, but could have done a better job in doing so. Min Woo and Ji Sook finally got their happy ending. After such a long journey, I’m genuinely glad to see our couple happy and safe together. But the drama still leaves a few questions unanswered. I never found out why Seok Hoon specifically targeted Min Woo and his position at the company when Min Woo had nothing to do with Seok Hoon’s unhappy past. As for our antagonists, they get what they deserved. Still, I have nothing but admiration for Seok Hoon’s character. Even in the most desperate situations, he’s always fighting on and doing what he could to remain in power until the very end. Sure, he’s pure evil, but respectable in that he works incessantly towards want he wants. Seok Hoon’s persistence made him a perfect antagonist that created endless conflicts to make the drama more interesting. There were times when Mask lost focus, but the overall plot was definitely enjoyable. The story wasn’t overly dramatic and the characters were interesting and memorable. Most importantly, the writing and acting, which originally sold me, kept me on board for the entire journey.